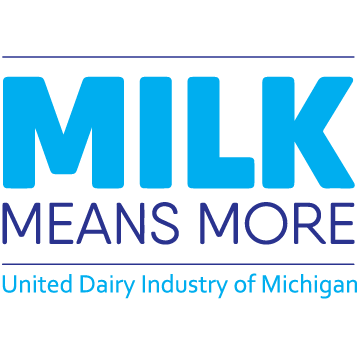 This Wednesday at 3pm, the second annual Michigan Milk Cup with conclude with a titanic clash between the two best teams (record wise) in the state of Michigan when AFC Ann Arbor of the National Premier Soccer League (NPSL) face off against Lansing United of the Premier Development League (PDL). This game pairs off one of the state’s best defensive sides against one of the state’s most balanced offenses. In 14 games, Ann Arbor has allowed only five goals, while scoring 27 for an impressive +22 goal difference. On the other side, Lansing’s defense hasn’t been as dominate (13 goals in 14 games), but their offense has been just as impressive with 26 goals scored. Both teams boast tremendous scoring power up top as well in different ways. Lansing prefers to play direct style through the pacy and smart Michigan State forward DeJuan Jones. An almost weekly candidate for “PDL Goal of the Week”, Jones combines perfect positioning with pacy runs and strength to hold off defenders before collecting himself to slot home shots past opposing goal keepers. Ann Arbor’s Yuri Farkas carries the scoring load for The Mighty Oak in a different style than Jones. The Madonna University product usually starts his runs from deeper on the field using precise movements and tricky footwork to find himself free to from the top of the box before usually scoring in wide open defenses. The best thing about these teams are while they have focal offensive talents, they don’t have just one person who carries the scoring load for them. Ann Arbor’s Eric Rudland can employ a multitude of scorers from all over the field. Whether it’s the forwards (Farkas, Jordan Montoya, Chris Odhiambo, Azaad Liadi), the midfielders (Serge Ganwanya, Marc Ybarra, Michael Shaikly) or even the defense (Martieon Watson), Ann Arbor can usually find a goal in their roster. Likewise for Lansing, with a very balanced front line, with the likes of Jones, TJ Ifaturori, Leroy Enzugusi, and Farai Mutatu, flanked by a midfield that includes studs like Kosti Moni, Lewis Jones, and Kyle Carr, Lansing will push the ball up the field and smoother teams offensively. Defensively, both teams are built to be flexible and to limit shots to their excellent goalkeepers. Lansing United dipped into the well of talent from local college powerhouse Michigan State, borrowing Michael Pimlott, Connor Corrigan, Michael Wetungu and John Freitag for the summer for backline that’s very familiar with each other’s shifts and calls. Add in former Kalamazoo FC player Alex Ruddock and fan favorite Sammy Conti and the ever solid Nick Strack and The Hoops have a backline ready to deal with any attack that comes their way. AFCAA’s backline posts a decent amount of professional pedigree. At least three players have played professionally at one point or another in Stanley Okumu (Free State Stars, South Africa), Jack Cawley (Haybridge Swifts, England), and Sergio Campbell (Columbus Crew SC, Pittsburgh Riverhounds, Rochester Rhinos). Usual AFCAA captain Matthieu Bream also returns to help solidify one of the most complete backlines in the entire country. Also in the mix are the aforementioned Watson, as well as Jake Rosen and Breno Stapcinakas. Both teams boast a tandem of capable netminders with Lansing’s Anthony Mwembia and Joe White, and Ann Arbor’s Nick Barry and Mike Novotny. Joe White played hero as he helped LanU qualify in their last match from the penalty spot. The burly London native made a diving save on Grand Rapid’s Dáire O’Riordan before stepping up and burying the game winning PK. Both teams breezed through their first round match ups. 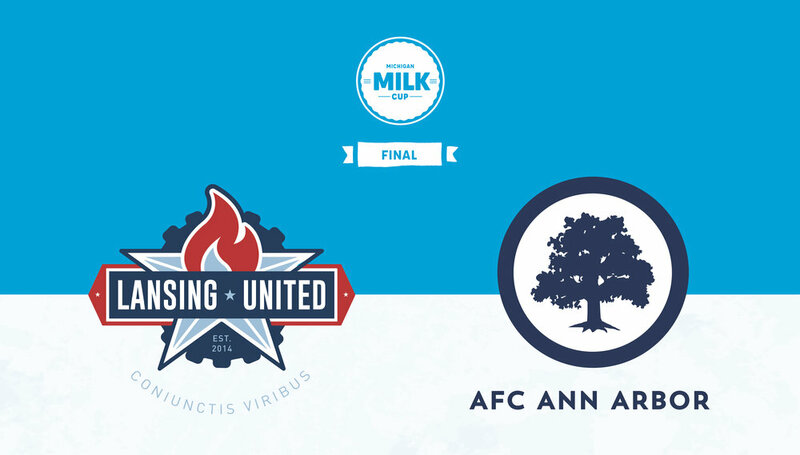 Lansing United cruises by Livonia City FC of the MiPSL 9-1 on aggregate, while AFC Ann Arbor defeated Oakland County FC of the UPSL 4-1 in aggregate. Both Lansing and Ann Arbor needed the full extent of the semifinal match to advance to the finals, with Lansing advancing on penalties 1-1 (4-3), while AFCAA needed a late Brandon Katona goal to beat Kalamazoo FC 1-0. Kick off will be at 3 p.m. at Mason High School, in Mason, Michigan on July 4th. Tickets can be pre ordered at $5 for a youth (4-12) and adult at $10. Prices go up to $12 at the gate.